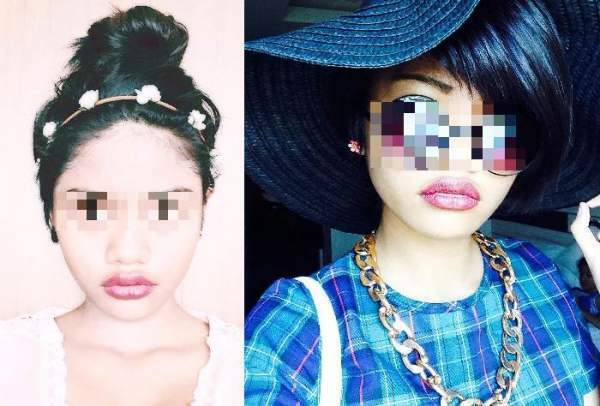 SINGAPORE – According to source, She’s an experienced conwoman who has been scamming many innocent people on carousell for years with dozens and dozens of different accounts. She’s very polite and prompt in replies, until the moment you transfer her your money. She vanishes into thin air and you won’t hear from her again. She will fill her page with listings of items that are relevant in the current, items that are “trendy” or “in”, things that people sought after on Carousell. She will list her items at an alarmingly low price, for example: A BNIP Beauty blender for $12 (with the caption that she got it as a gift but she already has 2 back ups) while everyone else on carousell is selling it at $25, more than double her price. ^ These are listings that a past victim has been putting up to try to warn and steer people away from her. Unfortunately I didn’t see this before I gave her my money. Initially, I gave her the benefit of a doubt and even told her I understood if she had not mailed out the items like she said she would, as it was new years period and she might be busy celebrating and spending time with her family. Still, I got no response from her. After a few days I got really suspicious since she never marked the item I paid for as SOLD, and she also did not click to accept my offer. The items were left on her page, and there were clearly many other interested parties. I found out that I had transferred $42 to her for items that she did not even have anymore. Since she had two recent positive feedbacks on her page, I assumed she was kinda trustworthy, which I was so wrong about. I messaged the two girls who left her feedbacks, and their deals were successful because they did meet ups. None of them had her contact number, and they both said that she works at NEX wearing her black Sephora uniform, and stays near Cove LRT. I checked with one of them and found out that she actually purchased the exact same items that I had bought! She was collecting money for items that were already sold! How f’ed up is that?! I was going to comment on all her listings to warn others not to give their money to her, but I saw that someone else who she scammed had already done that. I’ve been talking to her and since then we have found 2 more girls who have been scammed by the same carousell account, which makes us 4. Note that this is just ONE account which has been up for less than a week, she has SO many more accounts with different names that has been suspended for scamming! Imagine the amount of money and people she has collected from doing this for years! I messaged her yesterday to tell her that if she does not return me and the other girls’ money by 12am last night, that I would be pursuing this matter. She clearly was not afraid at all after having gotten away scot-free hundreds of times. It’s unfortunate that most people who get scammed would just let it slide so easily, because now she has scammed even more people and have gotten away with it just like that. Filzah, sweetie. Check yourself before you wreck yourself. I gave you your chance, and you chose this. I told you I wasn’t going to just let this slide. I told you you wouldn’t get away with this. Since you refused to return the money you stole, I spent alot of yesterday going back and forth your loopholes, talking to more people, sourcing for more information, and now I know who you are and where you’re from. I’m sure you didn’t win the “Guess Girl Model Search” for a reason… they probably saw through how fake you are. Karma’s coming for you, and it’s going to hit you like a truck. In your face.